Cherie Currie‘s extraordinary life reads like fiction. From a teenage rock star to becoming an accomplished Chainsaw Carving artist, Cherie has always taken the road less traveled. 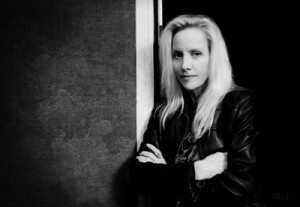 Cherie Currie was born and raised in the San Fernando Valley, where she spent her early teenage years living the Southern California lifestyle with skateboarding and surfing being her pastimes of choice. Cherie describes her life at this time as “about as Ozzie & Harriet as it comes.” However, soon the idyllic existence ended with the demise of her parent’s marriage. Inspired by the music and image of David Bowie, Cherie found an escape and a raison d’être in rock & roll. The twins began frequenting the Sugar Shack, a club for teens in North Hollywood, which played all the hottest glam rock cuts coming out of the UK. It was there, where she met producer and manager Kim Fowley and a young guitarist named Joan Jett, who also frequented the club. They were searching for a lead singer for the all-female rock band they were forming, which then consisted of Joan Jett on guitar and Sandy West on drums, and was called The Runaways. Cherie was asked to learn a Suzi Quatro song for her audition, but when she arrived to the audition with “Fever”, a Peggy Lee original (which Quatro had covered), the band would not play the song. Unable to agree on a suitable alternate song, Joan and Kim wrote an impromptu audition piece, the chorus and title being a play on words referring to Cherie’s name and “cherry blonde bombshell” good looks. “Cherry Bomb” became one of The Runaways signature songs, and still stands today as a universal anthem for teenage rebellion. Cherie was just 15 when she became The Runaways lead singer. The release of their debut album in 1976 was followed by a national tour across America. During this time, the girls headlined bills over legendary bands such as Cheap Trick, Van Halen, Tom Petty, and The Ramones. By the time their sophomore album, Queens of Noise (1977), was released, The Runaways’ legend had gone international. The band embarked on an international tour of Europe and then ultimately Japan, where Runaways mania had reached a fever pitch, as they were the fourth most popular international act there behind Led Zeppelin, ABBA, and Kiss. Drained by their non-stop schedule, overworked, and underpaid, the already fractured and fragile group began to fall apart. Cherie left soon after the band’s return to the US. She went on to record an album with her sister, Marie, on Capitol Records, entitled Messin’ With The Boys in 1980. Cherie recounted the story of her incredible ups and downs, dealing with success, as well as with her struggles with addiction, in her 1989 autobiography, Neon Angel: The Cherie Currie Story. Cherie was forced to leave much of the more salacious moments of her story out, as the book had been written specifically for the young adult market. Cherie set out to tell the story of her incredible journey again, this time, leaving no detail censored. One of the most enjoyable parts for Cherie was having the chance to get back in the studio with Joan to re-create The Runaways’ music for the film. “We really had a treat with this movie because we hadn’t been in a studio together since 1977,” she says. In late 2014, Kim Fowley contacted Cherie to see if she would be interested in making an album. Fowley had been battling cancer for many years and the two ‘buried the hatchet‘ of her teenaged past and was thrilled at the prospect to come full circle and work with Kim again. Within weeks they were writing songs, but this time she had brought her son, Jake Hays, 23, an accomplished musician in his own right who had toured with his mom and had just signed a record deal for his own band Maudlin Strangers. Within five days they were in the studio with Kim Fowley at the helm, but by day four Kim was too ill to continue and passed the task of completing the album Reverie onto Jake Hays. As Jake and Cherie worked to finish the album, Cherie also brought Kim into her home and cared for him, but sadly, Kim died a month before the album was finished. “My most cherished memories are the days when Kim were here at my home.” Currie said. “I just wish he could have heard the finished product. I know he would be proud”. 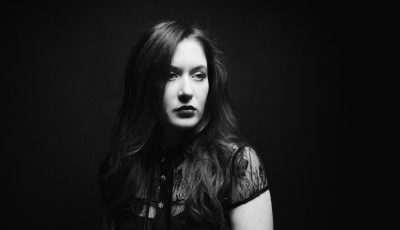 All Access Music writer, Nicole DeRosa had the pleasure of chatting with the awesomely multifaceted singer, songwriter, mom, artist and “chainsaw chick”. Read or LISTEN to their interview below. Hi Cherie! Where does this interview find you today? What’s on the agenda today besides our interview? I’m doing great! I’m working on my wood carvings today and have lots of orders to get done! I’m also just ready to go out and do what I love doing for the next couple months, playing music and sharing this record with everyone. It’s been a long haul to get the record done and get the tour together. What levels me out is just me and a chainsaw and some wood. It’s the great equalizer for me! 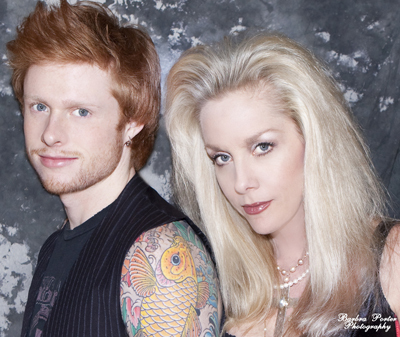 Reverie is the first album you have done in over 35 years and features Kim Fowley, Lita Ford as well as your son, Jake Hays (who is an accomplished musician in his own right with his band, Maudlin Strangers) What did you learn between albums that you felt you wanted to infuse into Reverie? I actually did make an album with Matt Sorum in 2010, that Matt produced and that was The Blackheart record, but we’re still negotiating and waiting to put it out. So, in the meantime, Kim Fowley called me a little over a year ago and asked me if I wanted to make a record with him. It was an amazing experience. It really brought closure to a lot of turmoil that I have gone through since The Runaways. I took care of Kim here at my house towards the end of his life. All the bad feelings, insecurity and confusion.. that was gone and what replaced it was love, admiration, and closure. It was spectacular. It was a gift. Truly. I will say, sitting in the studio with Kim at the helm and my son there (because Jake wrote the songs with Kim) …to see my kid with Kim Fowley in a studio was surreal. Right on the spot, this man…(I’ve just never known a brain like his)…a writer that can stand up in one take, come up with versus and choruses and direct the guitar player or the keyboard player at the same time and write these songs start to finish basically. It was something I told my son, he had to witness because he would never write songs the same way again and he would trust his instinct more. That’s what Kim did…and he was just the best at it. Like I said, all the darkness that I felt when leaving The Runaways, doesn’t exist anymore. All I have are good memories of Kim here at my house. I recorded a couple songs for him while he was in bed and he conducted me from his bed. (laughs) It was amazing. Well, I think Kim is looking down and probably so happy and overjoyed at the way everything turned out with this album and all the quality time you all spent with one another creating this gift. I was very happy. We tried to finish the record before Kim passed away, but Jake got a record deal and was also recording his album at the same time. Kim was able to hear a few of the songs before he passed. He was also able to hire Brant Biles to mix and master. That was something that he thought was a must. I know that he was thrilled with the outcome of the songs that he heard. I wish we could have finished it before he passed away, but I know he’s happy with it. How amazing it is to see it all come full circle and watch your song, Jake now perform? I’m so excited for him! As I said, his band just got signed and he goes on tour in June with Maudlin Strangers. He is an amazing musician and a great human being. I couldn’t have had a better kid. I was very lucky to tour with Jake and I took him on all my tours. He played guitar on the first two and then he decided he wanted to play drums on the last tour. He was able to see what tour life was like in a way where he was protected and I was there… and now he’s out on his own! (laughs) He’s learned a lot about this business working with me over the years, so I’m confident that he is in good hands. I’m very confident that he is ready to go! 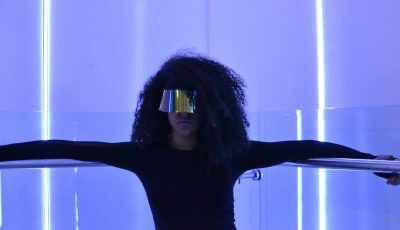 Can you share with me what your inspiration was for your current single, “Reverie”? I just love that title, “Reverie”. But there are a few songs on this record that I think are “single worthy”. “Believe” is a song I wrote about 19 years ago in my living room. I love that song, because I wrote it at a time in my life where I just felt everything was possible. Every time I listen to that song, I feel the same way. I’m just so glad it’s on the record. To be able to do a duet with my son and Lita was incredible. I just think a lot of these song are just really, really cool. (laughs) I put this record out myself. I don’t really have a team of people besides my wonderful Ken Phillips that I can bounce ideas off of as far as where a single is concerned. I love that the album is positive and surrounded with positive intentions. Just like how I appreciated the way Kim treated us as kids. As an adult, I can really appreciate it, because he didn’t know any other way. Again, it is understanding and appreciation that will change a persons life. It changed mine. The Runaways, were the first platinum selling all-girl rock group. The band faced opposition and criticism simply because they were unlike anything the world had seen before, a teenage all girl-band who delivered – technically and creatively – with a maturity well beyond the bands years. The Runaways rocked as hard, if not harder, than men in the then male-dominated rock world. Do you remember anything The Runaways were asked to do that you opposed? Well, with The Runaways movie, they of course took creative liberties with a few things. One of the things, was the scene when Dakota Fanning (who portrays Cherie) says she didn’t want to sing, “Cherry Bomb,” …that was totally fabricated and never happened. When I went in to audition and Kim wrote the song, “Cherry Bomb,” with Joan..I was all in, because I believed in the song. And you have to remember, at the time, 1975-1977 was the glam era and that was when Elton John, David Bowie and Alice Cooper were putting on these huge shows with costume changes and everything else. That’s what I grew up with and that’s what I saw from the concerts I went to… That’s why I had about four costume changes at our shows! (laughs) When Joan would a song, I would go and change. We were showmen! Kenny Ortega was our choreographer and of course were talking about The Tubes who were huge showmen. At that time, you didn’t just stand on stage and do a show in t-shirts and jeans (which we did do for a short period) but we felt we wanted people to walk away liking something. If it wasn’t the music, they would love the performances. Well, the first single I ever bought myself was Don McLean’s “American Pie.” That’s back when they were selling singles. I bought Suzie Quatro’s, “Your Momma Won’t Like Me.” I bought all the David Bowie and Elton John albums, Alice Cooper, Million Dollar Baby. I think the very first album I bought myself was Iggy Stardust and the Spiders From Mars and then I was hooked. I would love to work with Suzie Quatro and of course it would be a dream of mine to work with David Bowie. That’s at the top of my list. I personally listen to classic rock when I carve…if it’s not my son’s band, Maudlin Strangers (laughs). I listen to classic rock from the ’70s like Zeppelin and all that kinda good stuff. What’s on tap next for you, Cherie? What are you most excited about in 2015? A lot of my fans are also my clients, so I need to get a lot of their carvings done! And, I just cannot wait to tour with this record! I want to be a better carver than I was yesterday and I want to be a better performer than when I was touring last year. I just want be the best person I can be on a daily basis. 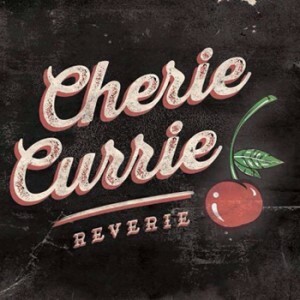 To learn more about CHERIE CURRIE , including upcoming tour dates, visit her HERE . To check out CHERIE’s wood work , visit her CHAINSAW CHICK website HERE .